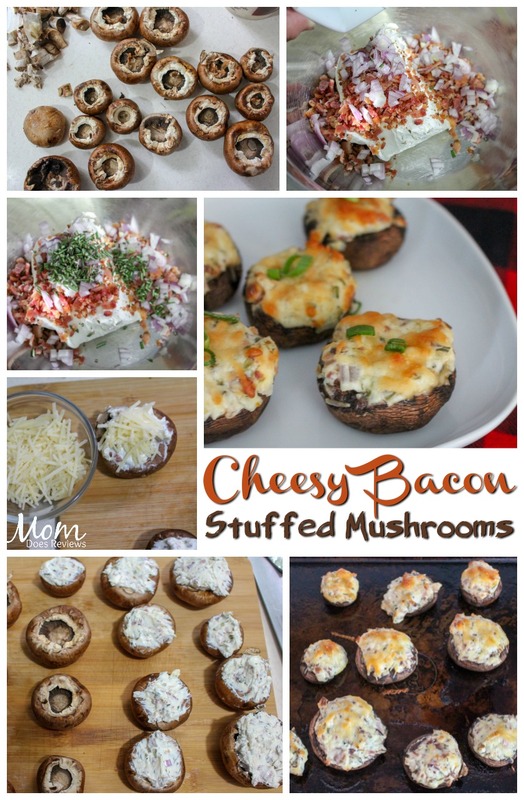 These Cheesy Bacon Stuffed Mushrooms are super easy to make and your whole family will love them. 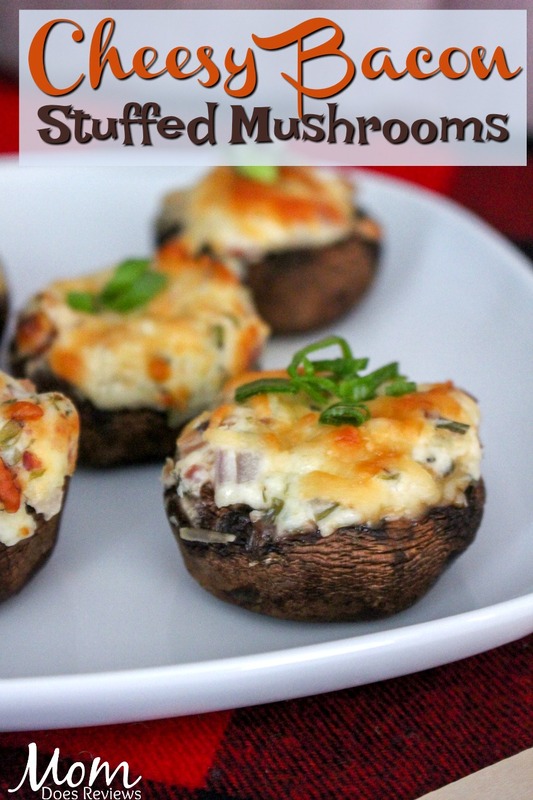 They are the perfect appetizer to make for the Big Game or for a party. Your guests will think you slaved for HOURS making these delicious treats! Want more Appetizer Ideas for the Big Game? Check out these 100 Mouth-Watering Appetizers! Preheat oven to 400 (for bacon and mushrooms). 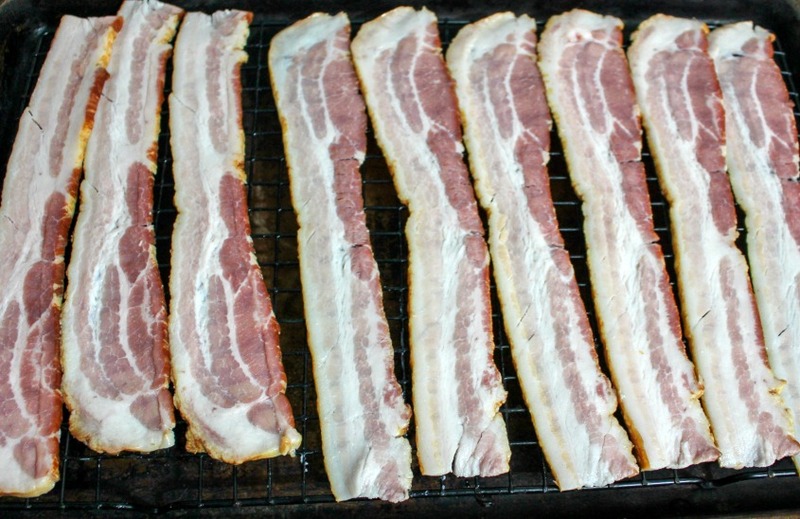 Place bacon on a baking sheet and bake for roughly 15-20 minutes or until done. 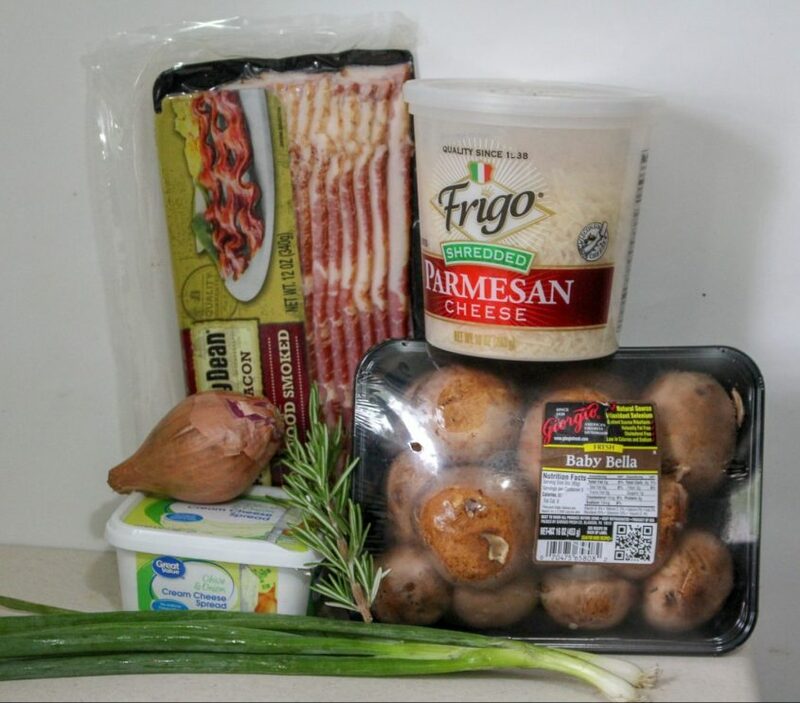 While bacon is cooking, prepare the mushrooms by removing the stems and removing gills from the mushroom. Once bacon is ready, remove the bacon and place on a paper towel to soak up excess grease. Chop when cooled. 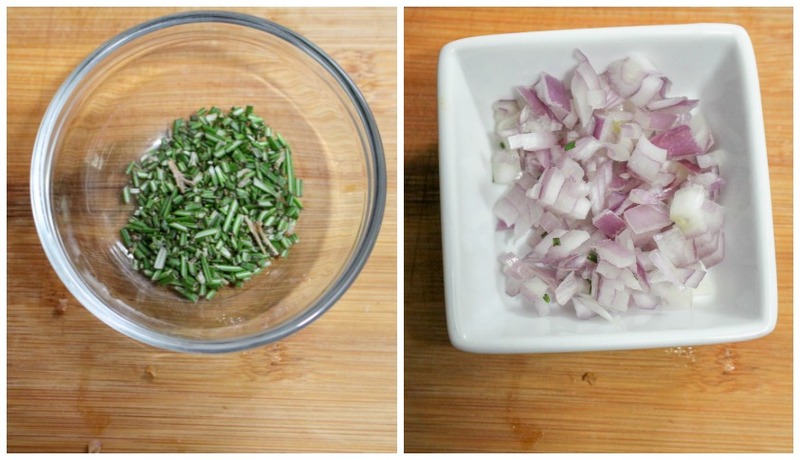 Next, mince the shallots and rosemary. Add cream cheese, rosemary, shallots, ½ cup of Parmesan cheese, salt and pepper to your mixing bowl. Mix thoroughly. Use a spoon and scoop out a dollop of cheese mixture and add to inside of the mushroom. Top with remaining Parmesan cheese and place in the oven for 10-20 mins. Once cheese is brown on top, remove the mushrooms and add garnish if desired. Easy appetizer for the big game or anytime! 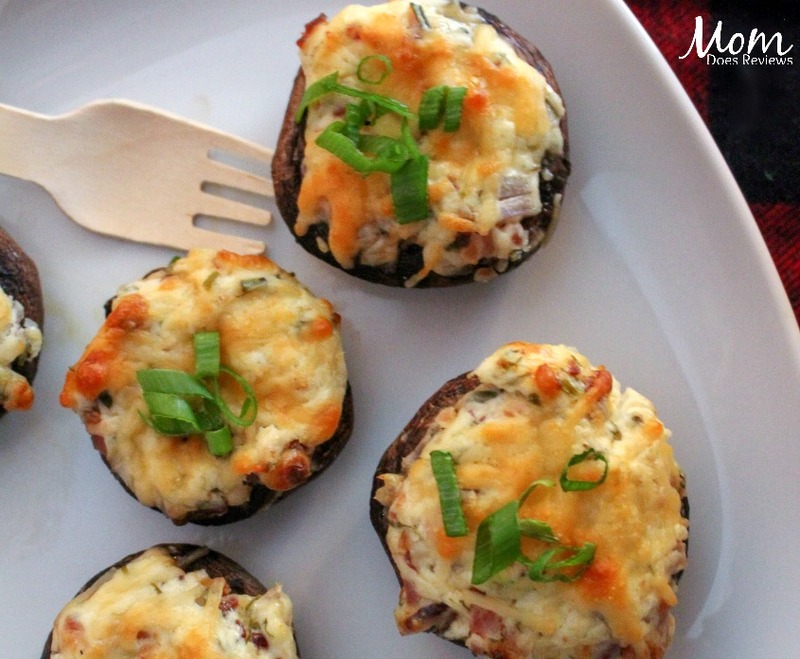 Use a spoon and scoop out a dollop of cheese mix and add to inside of the mushroom. Top with remaining parmesan and place in the oven for 10-20 mins. What’s your favorite appetizer? Let us know in the comments below.